Business official building (2) located in the Zhong Yuan East Road in Tianyuan district. In accordance with the present state standards strictly such as: “Office Building Design Standards” (JGJ67-2006), “Architectural Design of Fire Safety Regulations”(GB50016-2006), “Structural Load Norms”(GB50009-2001), “Concrete Structure Design Standards” (GB50010-2002), “Building Foundation Design Standards”(GB50007-2002), “Seismic Design Standards”(GB5001-2001), and so on, the author tries to complete the architectural design and constructive design for this official building. 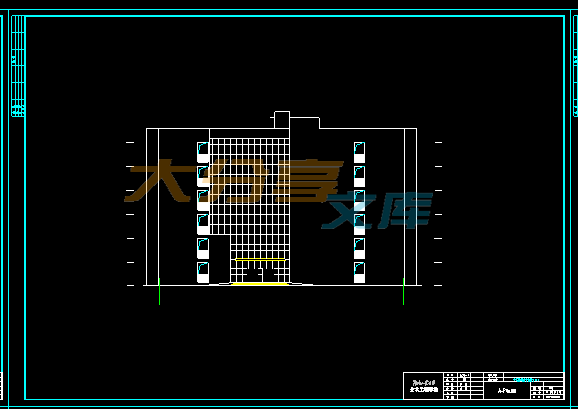 The fixed time in construction design abides by the Hunan 99 fixed quote. 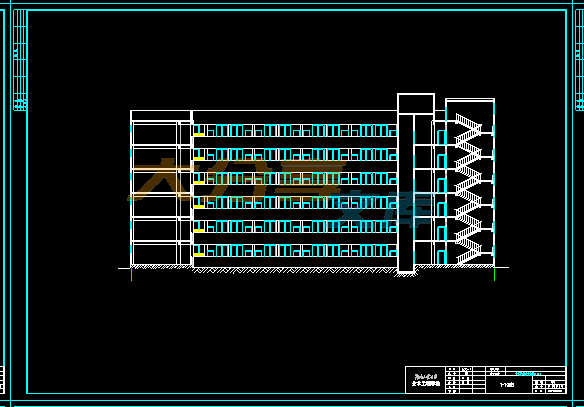 The first task is to design the architectural façade and the vertical façade, and then, the author design the building's foundation, beams, plates, columns reinforced. 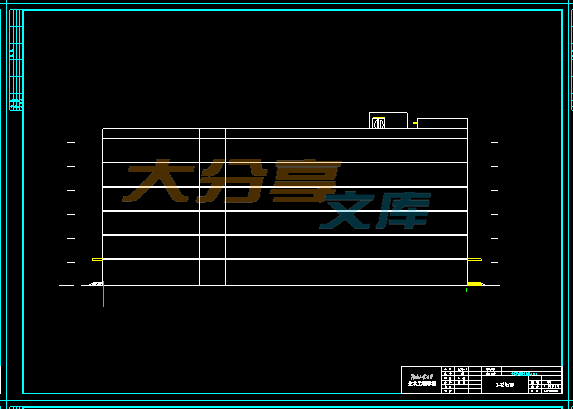 At last, the designs of construction organization and construction site graphic are finished. 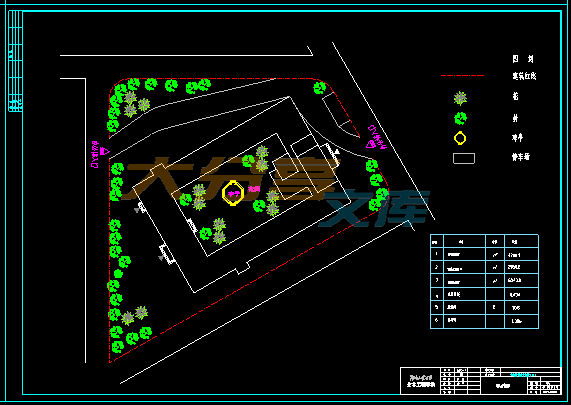 The whole design is in accordance with the requirements of current national standard. 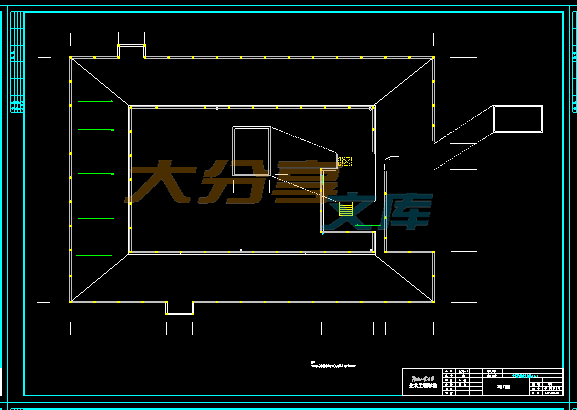 During the whole process of this design, the architectural design adopts Tch 7.0 and AutoCAD 2004 software and the calculation of basic reinforced uses easily calculated software, and the author calculates the whole project of beam-reinforced by means ofGuangSha 10.0 CAD software and charts the construction of software network map with MengLong 2006. This design has the certain ability of reliability, safety and creativity. 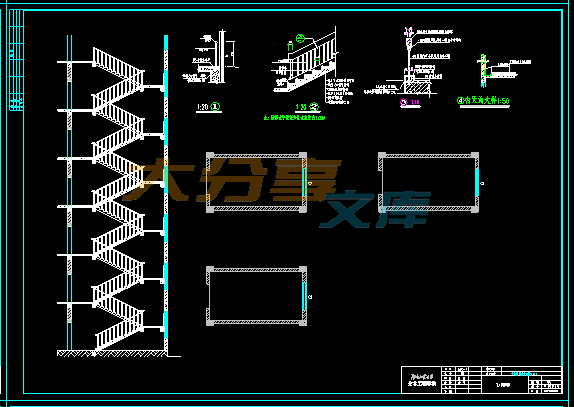 The calculative book includes the selection of architectural structure, construction loads, the reinforced framework, the basis of calculation, calculation of the staircase. 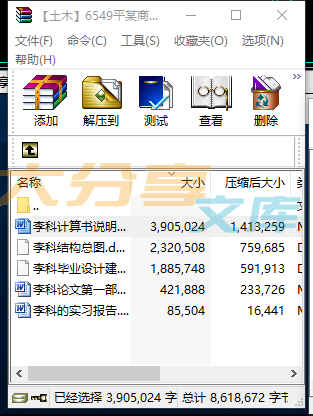 In the process of architectural load calculation, vertical load uses the iterative method and the level load adopts the D calculation method. The control forces of a framework for the reinforcement will be found through a combination of load frame.Finally, a framework for the reinforcement load and the hand-painted pieces of the framework for a reinforcement plan are completed.